The adoption of "silvopastures"–incorporating trees into pastureland–can provide habitat for forest bird species and improve connectivity in landscapes fragmented by agriculture. But how do silvopastures measure up to natural forest habitat? New research from The Condor: Ornithological Applications shows that birds in silvopasture forage less efficiently than those in forest fragments but offers suggestions for how silvopasture habitat could be improved. The University of Florida's Bryan Tarbox and his colleagues observed the foraging and flocking behavior of insect-eating birds in silvopastures on farms in the Colombian Andes between 2013 and 2015. They found that silvopastures were less structurally complex than forest fragments, with fewer and smaller trees, a sparser understory, and less diversity of tree species. Birds in silvopastures attacked insects less often, were less selective about where they foraged, and were less likely to join mixed-species flocks. Flock members attacked prey more frequently than solitary birds in forest fragments, but not in silvopastures, suggesting that something about silvopasture habitat negated the benefits of joining a flock. The results show that silvopasture habitat could be improved by managing for higher tree species diversity and greater structural complexity, but that preserving natural forest fragments in agricultural landscapes is also crucial. "I hope people don't get the impression that our results mean silvopastures aren't a good idea," says Tarbox. "The existing literature makes it clear that silvopastures are beneficial for biodiversity conservation. I think the big takeaway here is the importance of getting to the details of how specific land uses impact particular species or functional groups, so that we can figure out the best regional configurations of land use, given the competing needs of wildlife and agriculture." "Protected areas alone will be insufficient to conserve biodiversity at global scales. Instead, we must find ways to safeguard species and ecosystems while also sustaining human communities and livelihoods that depend upon local resources," according to Cornell University's Amanda Rodewald, an expert on bird responses to human land use who was not involved with the research. 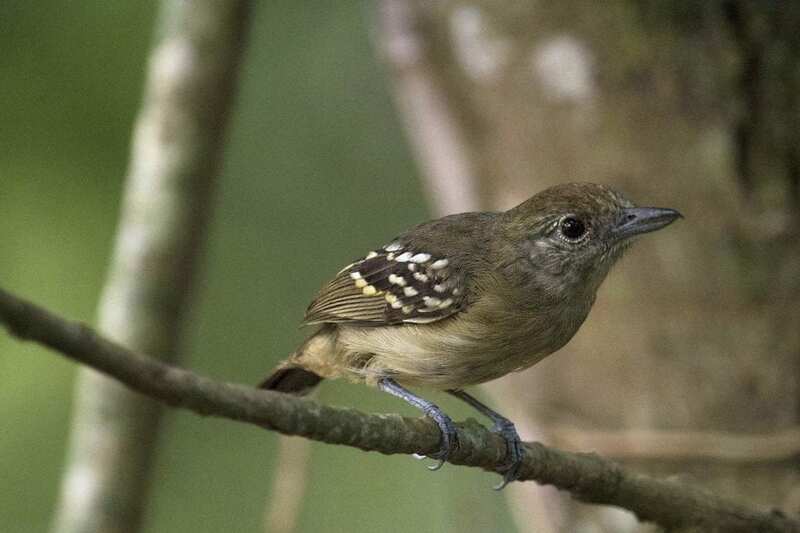 "In their study of insectivorous forest birds, Tarbox and his colleagues report that Andean silvopastures provided low quality foraging habitats and, as such, may fail to support resident and migratory birds as well as forest fragments. Fortunately, the study points to several strategies, such as planting preferred tree species and creating specialized microhabitats, that can be implemented at local and regional scales to improve suitability of silvopastoral habitats for birds." "Foraging ecology and flocking behavior of insectivorous forest birds inform management of Andean silvopastures for conservation" will be available September 19, 2018, at http://americanornithologypubs.org/doi/full/10.1650/CONDOR-18-1.1 (issue URL http://americanornithologypubs.org/toc/cond/120/4).